Namecoin (often abbreviated as NMC) is an alternative use of the principals behind the cryptographic digital currency Bitcoin. Namecoin rather than being just a currency to be traded for fiat currencies and other digital currencies is an alternative distributed Domain Name System (DNS). It was forked from the Bitcoin project in August 2009, and has remained a popular altcoin to this day. 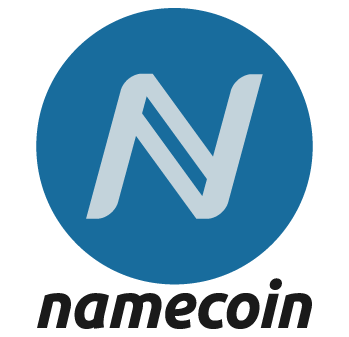 Since Namecoin was derived from Bitcoin, most of the key concepts behind Bitcoin - including wallets, mining, trading - also apply to Namecoin. However, there are a few key additions and differences in the inner workings of the Namecoin blockchain. The Namecoin blockchain adjusts difficulty to generate a block every 10 minutes on average. This is the same speed as the Bitcoin blockchain, which generates a block every 10 minutes on average. The total number of Namecoin that can ever be in existence is 21 million. This is same as the total number of Bitcoins that will come into existence. Namecoin addresses all begin with “N” while Bitcoin addresses begin with “1”.